Mark Footitt is set to make his competitive debut for Lancashire at Lord's following his loan move from Nottinghamshire. The ex-Surrey left-armer was deemed surplus to requirements at Trent Bridge for the opening weeks of the 2019 County Championship due to the return from injury of Paul Coughlin and the availability of Stuart Broad. It means he is likely to lead the Red Rose attack with Broad's England new-ball partner James Anderson versus Middlesex from this Thursday onwards. "Once we've made a decision on which bowlers are going to start the season, it makes complete sense for us that those who aren't involved in that to play the highest standard possible of competitive cricket," said Nottinghamshire's director of cricket Mick Newell, explaining the rationale for allowing Footitt and fellow left-armer Luke Wood, who has joined Northamptonshire, to go on 28-day temporary switches. "We can recall a player from loan at any time if something changes with regards selection or injuries. 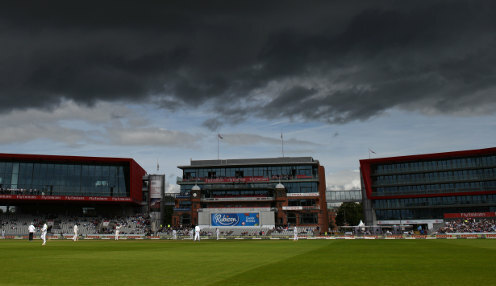 "It's good for Lancashire because they get use of a quality fast bowler. It's good for Mark getting to play first-class cricket - and if he comes back with fitness and form having put some overs in his legs, it's also beneficial for Notts." Footitt only managed six wickets in three appearances for Notts in three end-of-season appearances in Division One last summer, after returning from a loan to Derbyshire, but has an impressive first-class career return of 352 at 26.21 runs apiece.